Dance the night away in this cozy cottage in the woods. 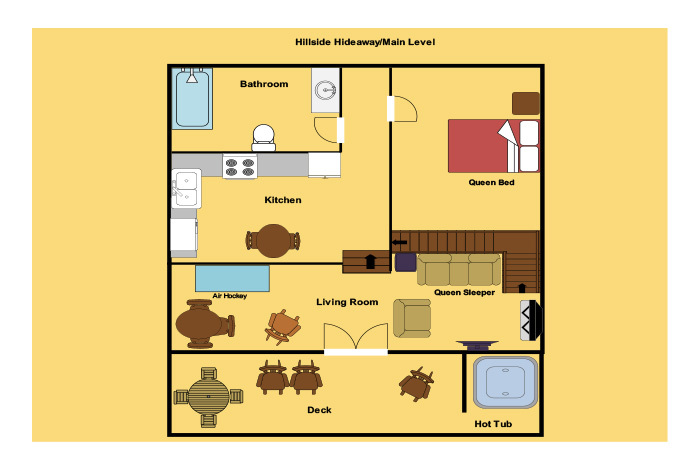 Hillside Hideaway is your perfect getaway with a happy blend of old-time mountain charm and a touch of Retro for romance and fun, complete with the ease and convenience of today’s technologies. 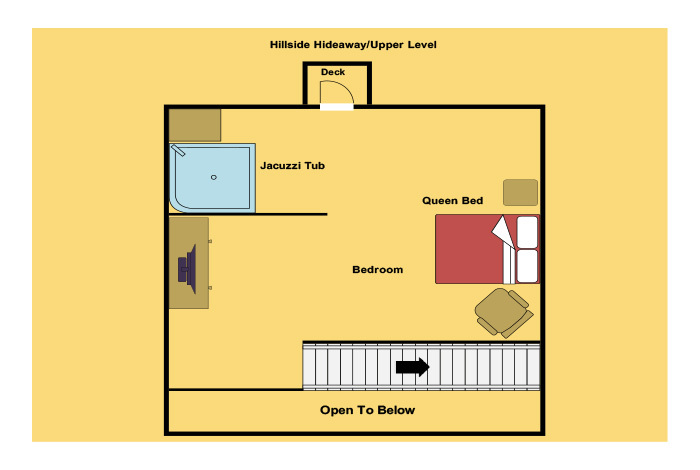 The comfy Living room with its warm fireplace and flat screen TV keeps things homey while still providing that peaceful relaxing spot just for you. Are you ready to start the vacation of a lifetime? 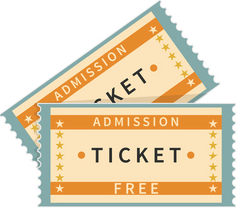 To take in all of the splendor of the Great Smoky Mountains? Then look no further! 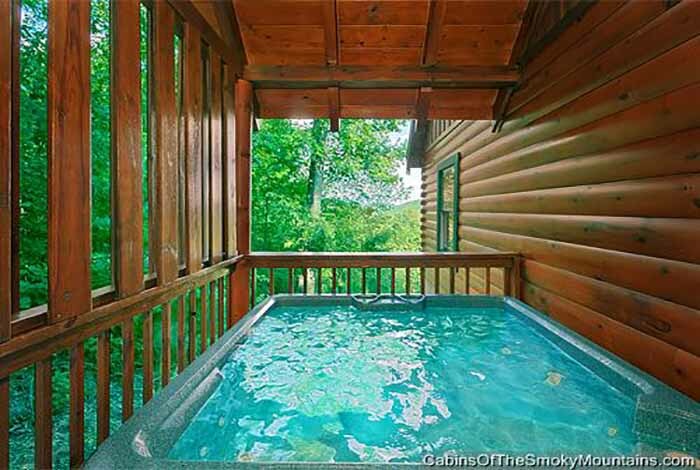 This 2 bedroom Pigeon Forge cabin will let you take in one of the nicest views the Smokies has to offer all while being in the comfort of a luxury cabin. If you are a bit more adventurous and want to hit the trails this cabin is located about 15 minutes away from the National Park. Just a short drive and you can be in the heart of nature taking in the many waterfalls and views the park has to offer. 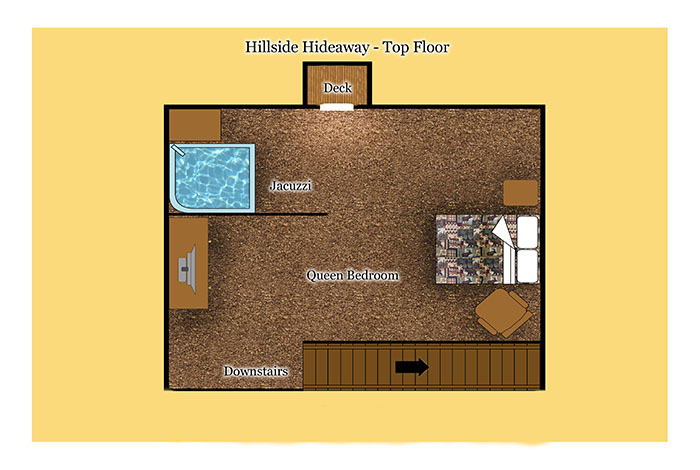 After an exhausting day outside you can come back and soak your sore muscles in the hot tub or maybe just calm down with a nice move in the theater room. 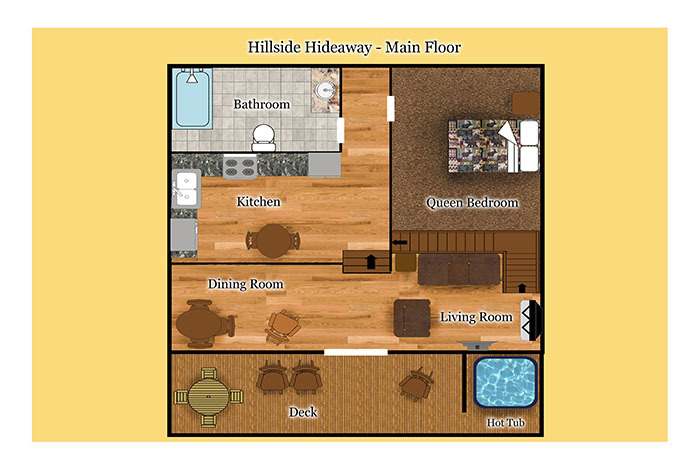 Be it with family or friends, Hillside Hideaway has a little bit of something for everyone.